PRICE-wise there was a bit of everything at the early calf sale at Yea. Herefords hit a high note of $1250 to claim both dollar-a-head and cents-a-kilogram liveweight honours, while some of the heaviest Angus cattle were disappointing. Overall the sale favoured middle run and lighter steer calves, as buyers appeared intent on purchasing replacements for less than $1000. At times it meant some breeders received a better price for their second and third pens of calves compared to their heaviest drafts. The heifer sale also showed some fluctuations. The few pens that sold to breeders made up to $910 to match steers on a carcass weight basis, while bidding from feedlots and finishers for the general run was dull. Rodwells agent Adam Mountjoy described the sale as “erratic’’ for an end result that couldn’t be sugar-coated much past “satisfactory’’. The opening laneway of heavy Angus steers proved the stickiest for auctioneers. The first pen of 17 Angus from the Oliver family, weighing 376kg, sold for $1090 to work out at 289c/kg. Just three pens in there was 350kg Angus steers making $990 or about 280c/kg. Yet halfway down the laneway the market seemed to find its feet. The top price for Angus steers of $1140 was paid for P and P Ryan’s 24 calves which weighed 354kg, equating to 322c/kg. Showing how the market changed was the price outcomes for Barrie Griffith’s Angus steers from his Northwood property. 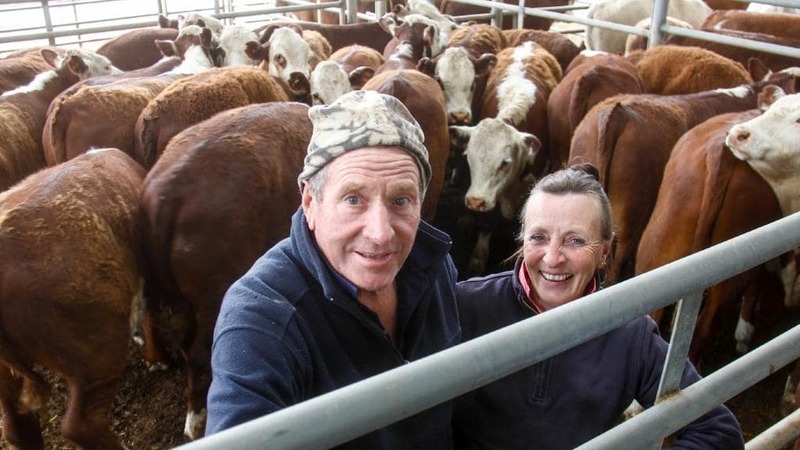 His first pen of 21 at 365kg sold for $1000, another nine pens on and his second line at 355kg made $1050. But the market hit its peak on the Herefords thanks to a clash of two orders after the same calves. Price honours at $1250 went to Howes Creek Hills at Mansfield, owned by Michael and Nereda Hanlon. 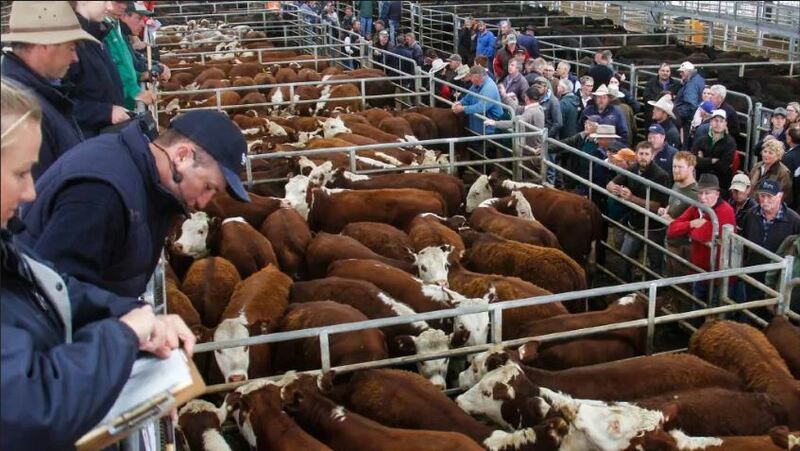 The 31 steers had been weaned and weighed 367kg, equalling 340c/kg. They sold to a local bullock producer familiar with their breeding and performance. 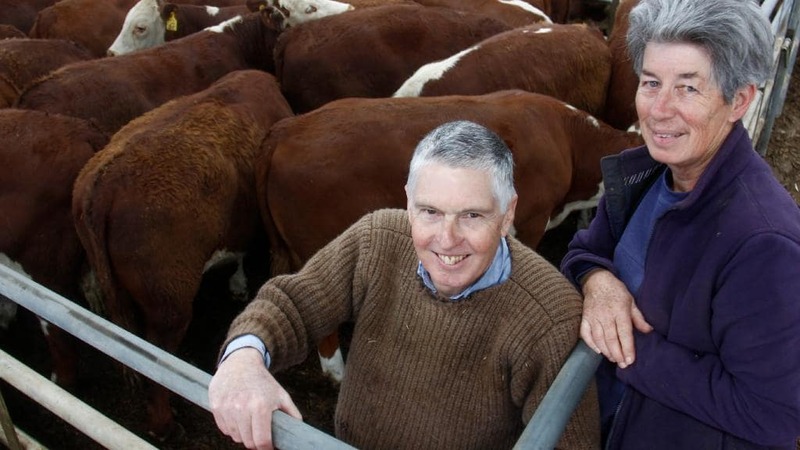 Only a bid behind at $1240 were the top pen of Herefords from Ian and Judy Marshman, Grumble Grumble at Limestone. These steers, which were European Union-accredited and weaned, weighed 331kg to return 374c/kg. They sold to a repeat buyer from King Island, who had been the losing bidder on the Howes Creek calves. Most steers varied from 270c/kg to 320c/kg on displayed weights. In dollar-a-head terms a lot of calves were in the $800 to $1000 range. An order from Tamworth in NSW mixed it against local North East and Gippsland buyers. Bidding for heifers was consistent but flat on the main lines of Angus at 240c/kg to 260c/kg for those that sold to feedlot and backgrounding areas. The market broke out of this trend for select pens that sold to breeders, including the Oliver Angus heifers at $910.